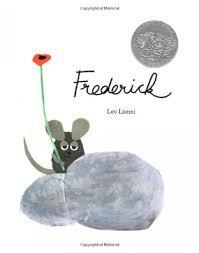 Frederick, Leo Lionni’s international best-selling children’s classic reprinted after 49 years. ‘Children will appreciate what Frederick teaches his family in this book – that there is more to life than the basics of food, water, and shelter.’ says American journalist Mary Dixon Weidler. Winter is coming, and all the mice are gathering food ... except for Frederick. The mice are not happy with Frederick who seems to daydream and doesn’t help them enough. But as it becomes cold, and food gets scarce, the mice gather together around Frederick, whose stories warm their hearts and spirits. An internationally known designer, illustrator and graphic artist with more than 40 highly acclaimed children’s books to his name, Lionni was born in Holland and lived in Italy until he moved to the United States in 1939. He is the recipient of the 1984 American Institute of Graphic Arts Gold Medal and was honoured posthumously in 2007 with the Society of Illustrators’ Lifetime Achievement Award. He is also a four-time Caldecott Honour Winner for his books Inch by Inch, Frederick, Swimmy and Alexander the Wind-Up Mouse. Lionni died in October 1999 at his home in Tuscany, Italy, at the age of 89.